WTF?! Do you have so much money that you simply don’t know what to do with it? For those facing such a terrible problem, why not buy a gold- and diamond-covered PlayStation 4 controller, which costs a bargain $14,000. From the same firm that brought us gold-covered iPhones, Apple Watches, and other incredibly costly products comes the Lux Dualshock 4 Controller. It’s also plated in 24K gold and is embedded with diamonds, so try not to lose it or throw it against the wall in a fit of rage. There are two versions of Brikk's Lux Controller available. For those who think 14 grand is a ridiculous amount to spend on a gaming peripheral, there’s the much more sensibly priced ‘Classic version’ that costs just $8,495. 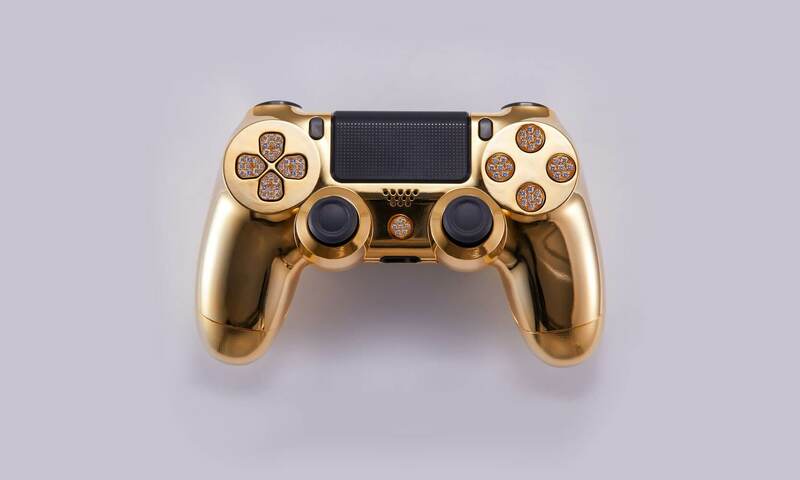 In addition to the gold plating, it features an 18K solid gold PlayStation button with seven embedded diamonds—the other buttons are from a standard PS4 controller. Those people who want everything made from precious minerals may prefer the $14,000 Deluxe version, which comes with nine 18K solid gold buttons covered in tiny diamonds. Buyers can also request the controller be plated in different materials, such as black rhodium, and ask that the buttons to be made from something other than gold. Even alternative gems can be added, including rubies and emeralds, which makes it sound like you’re crafting a weapon in an RPG. For “the perspicacious individual,” there are also some gaming-focused customization options. Changing the sticks' heights and shapes, adding trigger stops, and implementing rapid fire options are all possible. Other companies, such as Scuf, offer similar features on their customizable controllers, and without the need to spend thousands of dollars.